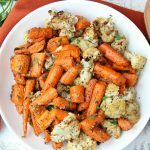 Thyme Carrots & Cauliflower – Carrots and cauliflower tossed with thyme and roasted to perfection! It’s Thanksgiving week! How in the world is Thanksgiving almost here already?! Over the weekend I was browsing through Facebook and I noticed that lots of people already have their Christmas decorations up. Not me. The tree and decorations won’t go up until after Thanksgiving. I absolutely LOVE the soft glow of Christmas lights throughout the house but I’m just not ready to decorate quite yet. Plus, even if I wanted to decorate, I wouldn’t be able to. My dear husband needs to pull my Christmas storage bins from the high shelf in the garage. THAT won’t happen until after deer hunting concludes. The good news is, he got his deer yesterday. His hunting party actually was quite blessed this year. Between the group of them they have seven deer so far. In a month or so I’ll start clearing room in the freezer for all of the new, fresh meat. If you also had some lucky hunters in the family, you have to check out this venison backstrap recipe. 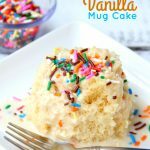 It’s absolutely delicious and only six ingredients! Okay, so between hunting and preparing for Thanksgiving, things have been pretty busy around here. This year I’m responsible for desserts and sides. 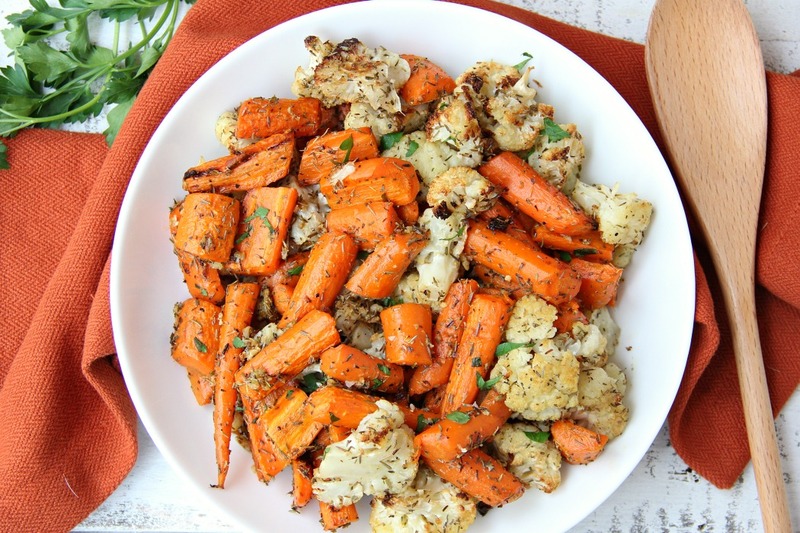 If you’re looking for a beautiful and tasty vegetable side dish, then you must try this recipe for Thyme Carrots and Cauliflower. 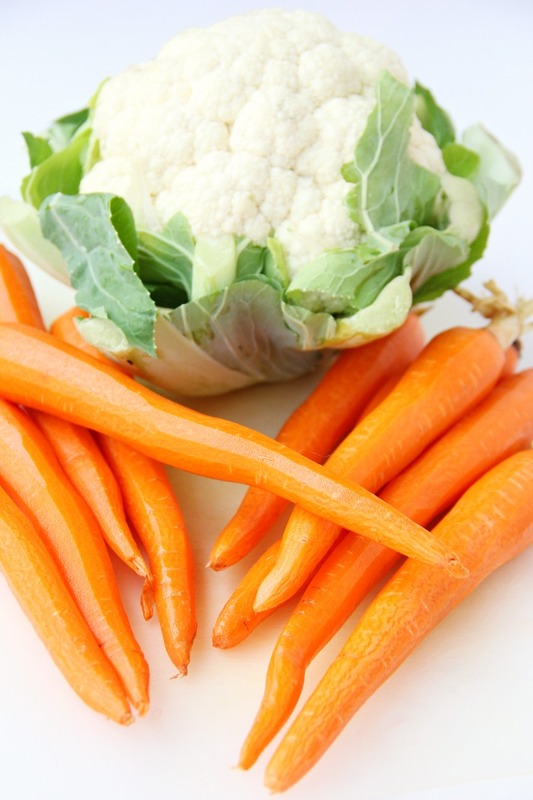 To begin, clean and peel the carrots and trim the cauliflower into florets. Then you just toss the vegetables in a bowl with some olive oil, thyme, fresh garlic, salt and pepper. Pretty easy, right? 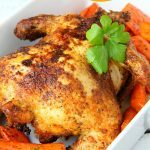 You place the vegetables onto a baking pan and roast it all for around 40 minutes. 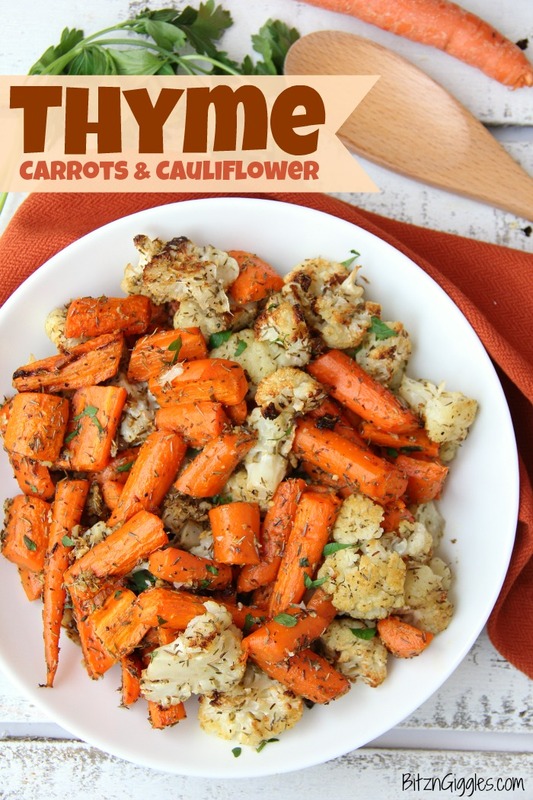 The cauliflower lightly browns, the carrots take on that beautiful roasted appearance and the dish is ready to go. 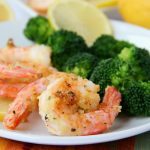 I sprinkle on some fresh parsley to give it a little pop of color. It looks so pretty in a white serving dish, don’t you think? 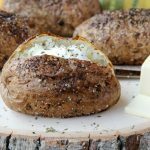 Now, word of warning. . .a fair amount of thyme is used in this recipe. If you think you want to dial it back a notch, add a tablespoon vs. a tablespoon and a half. 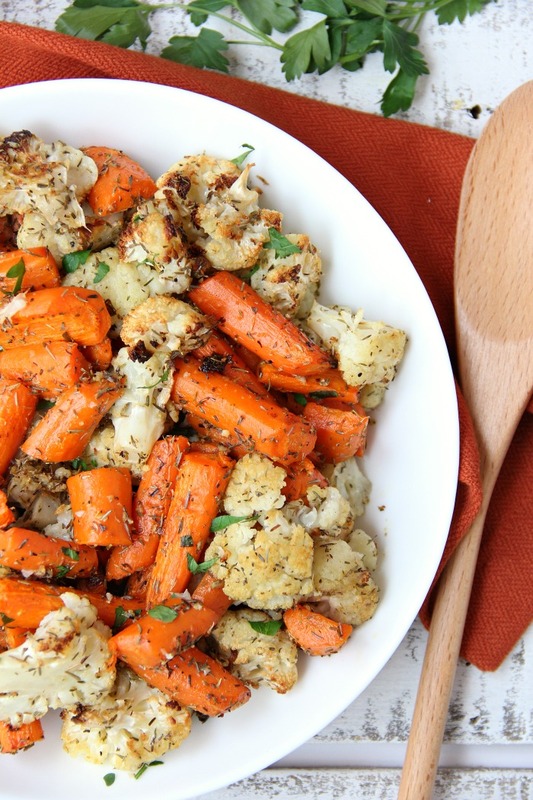 Alongside turkey, chicken, ham or prime rib, these thyme carrots and cauliflower are the perfect companion. Enjoy and best of luck with your Thanksgiving prep this week! 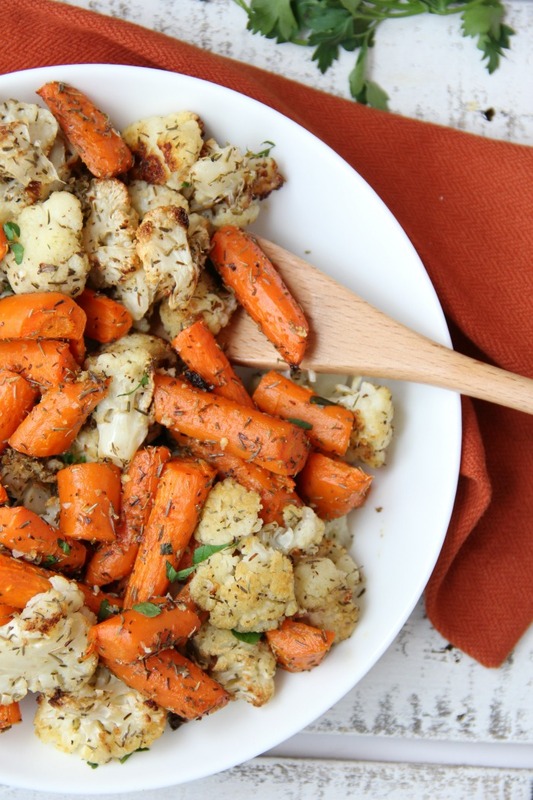 Carrots and cauliflower tossed with garlic and thyme and roasted to perfection! 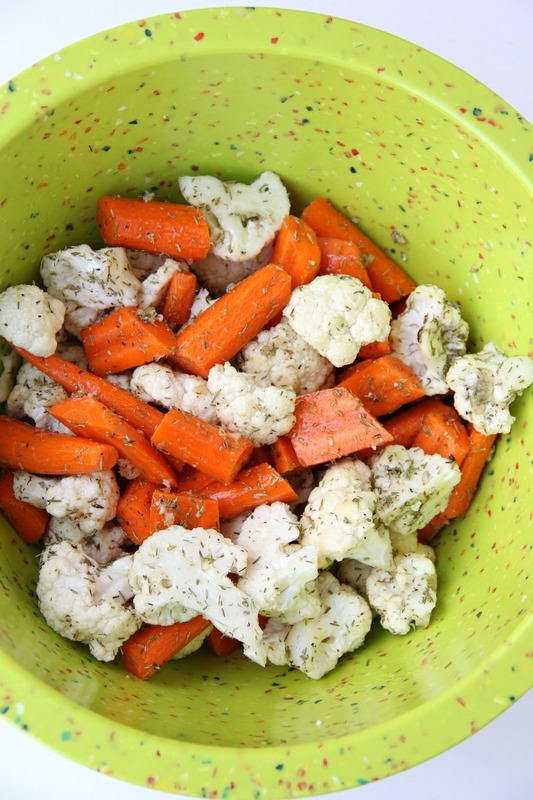 Toss together carrots, cauliflower, oil, thyme, garlic, salt and pepper in a bowl. Spread vegetables on a foil or baking mat-lined baking pan. Roast for 40 minutes or until tender.